Do you sometimes pick up a book and go, “I don’t think I read that one,” so you start reading it only to figure out a few chapters in that you have indeed read that book. Or perhaps you’re a bit bookworm competitive and you like seeing just how many books you can read in a year. 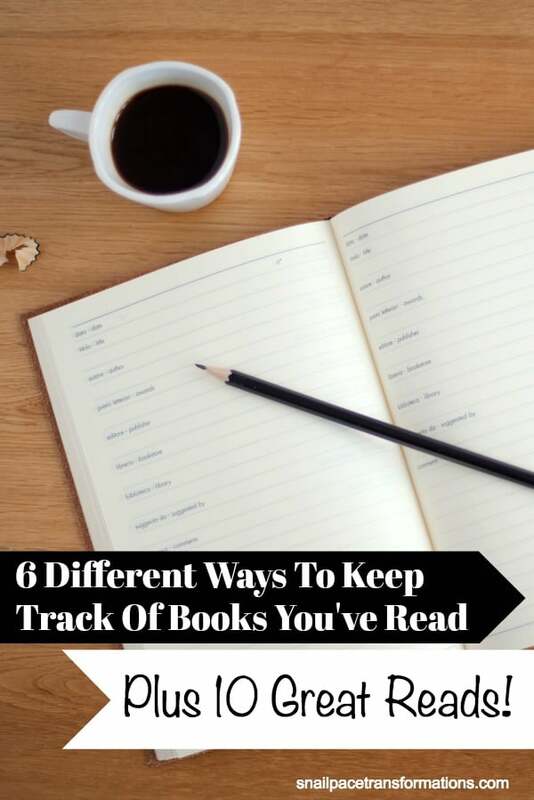 Either way, you will benefit from a simple way of keeping track of the books you’ve read and I have 6 you can choose from. Crystal of Money Saving Mom does this every year. Each year creat a new Pinterest board and label it “Books Read in…” and then use a browser “pin it” extension to pin the book page for the book you just read on Amazon (or retailer of your choice). You could probably also do something similar on Facebook by creating an album labeled “books read in…” and then uploading a picture of the book’s cover each time you finish one. This is what I do. I have done it for years. Here is my list for this past year. Each time I finish a book I take the time to add it to the list, as well as a link to the book’s page on Amazon and a small blurb sharing my thoughts on the book. Of course, this idea is only going to work if you have a blog. However, you could do something similar on Google Drive. 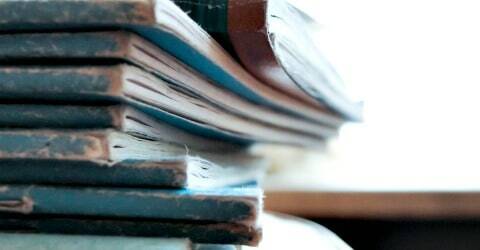 Create a new document entitled “Books Read in…” and then take the time to list each one as you finish them. I have a membership for Goodreads, but I haven’t used it. 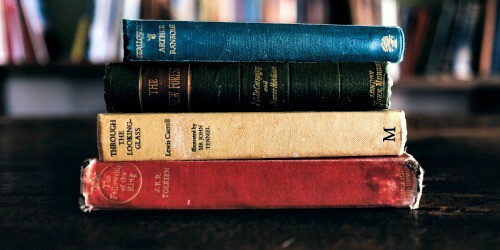 However, the site is filled with bookworms who use the site as an online book journal. Bullet Journaling is all the rage even amoungst bookworms who are using them to keep track of the books they’ve read. Here is a post I found that shows several different ways to use a bullet journal as a book log. Hop over to Pinterest and enter free printable reading logs into the search area and you will be able to choose from dozens of different free printable reading logs. Here is one I liked. You can print them out, hole punch them and keep them in a binder near your books to read. Or paste them into a notebook for a bullet journal feel. This “What I Read” journal is so cute and practical. Make sure to scroll down to the purchaser’s photos to see what the inside looks like. I have to admit I am extremely tempted to pick up one of these. It would be super simple to stash this book journal on the shelf with your books. 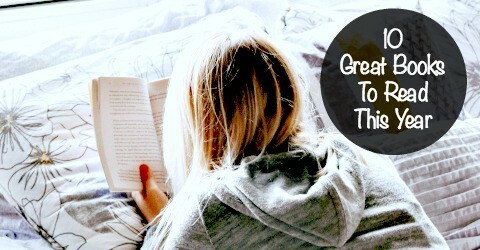 Now that we have gone over 6 ways to keep track of your reading let’s add some new “must reads” to your reading list. These are my 10 top picks from books I read over the last year. This was the first book I read by Katherine Reay, and it was not the last. In fact, I loved it so much I quickly snapped up all her other books. Warning: you will need tissues for certain parts of Lizzy & Jane, you will also experience moments where you dislike some of the characters, but I am pretty sure that by the end of the book you will love them all as much as I did. I am still wondering how they are doing now (yes, I know they are fictional!). This is another Katherine Reay read. I just couldn’t include only one of her titles in my list of favorites from this year. Dear Mr. Knightley took me a while to get into since it was written as a series of letters, and I haven’t had much experience with this style of writing. However, just a few chapters in I was hooked. The ending of this book was so thought-provoking that I am still thinking about it months later. If you like love stores that go deeper than the gushy stuff this is a must-read. There is nothing light and fluffy about Dogwood the message of true love is heart changing. You can read my full review of More Than Just Making It here. This is a must read regardless of your financial situation. The author writes nonfiction in such a way that you will become so drawn into the story that you won’t be able to put the book down until you are finished. Erin has another book coming out in April and although she tells me it is entirely different in writing style I am looking forward to reading it. This book convinced me to stop entertaining and start offering hospitality. There is a difference, and that difference can keep us from creating genuine bonds with the people in our neighborhood. If you are feeling isolated in your community, read The Turquoise Table and learn how to start a neighborhood revolution that brings back connection with those who live near us. You create art! Yes, you do. In fact, we all do. A Million Little Ways will uplift your spirits reminding you no matter how small you think your gifts are, they have an impact and they are important. I love the author’s one room, one area at a time teaching. 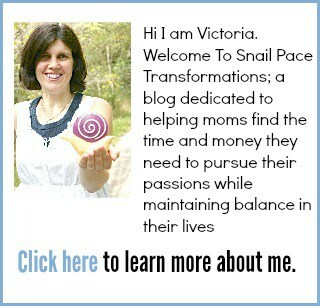 Make Room For What You Love spoke to my snail pacing ways. Wow! The real-life stories of the author’s life in Love Does are incredible. They inspired me to be open to loving even when it seems inconvenient or just plain hard just to see how God moves. I think I highlighted half of The Nesting Place. So many good ideas on letting your personality and life shape the decorating in the home you live in. I read this toward the end of our five and a half month family RV trip, which caused me to relate to the author’s words on extended traveling with family. If you have a desire to wander the world, you are going to want to read At Home in the World. I finally finished writing my first book. 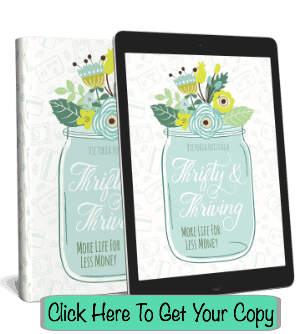 This is no ordinary thrifty tips book; this book shares life principles of thrifty people. The things that help them live more for less. Thrifty & Thriving is available only on Amazon in Kindle and paperback.